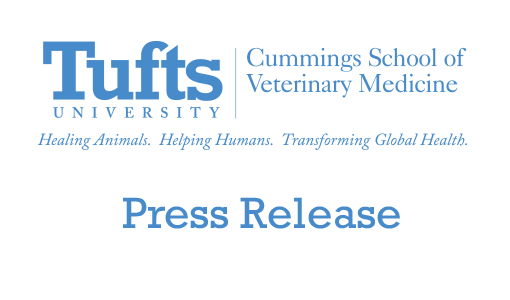 The Cummings School of Veterinary Medicine today will dedicate a new six-stall isolation ward designed to better manage the care of horses with infectious diseases. 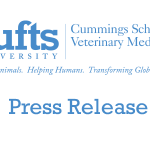 The new facility represents a strong collaboration between the basic and clinical-science divisions of New England’s only veterinary school. The 3,300 square-foot facility triples the capacity for clinicians at the Cummings School’s Hospital for Large Animals to manage infectious diseases, ranging from salmonellosis, strangles, and equine herpes virus-1 in horses to cryptosporidiosis in calves, goats and alpacas. Strangles is a respiratory illness in horses caused by the bacterium Streptococcus equi. Currently, the Hospital for Large Animals’ isolation facility consists of two stalls. With more than 12 percent of the hospital’s incoming patients suspected of infectious diseases, potentially contagious animals would be denied admission if both stalls were full. Each of the six stalls in the new isolation facility will be self-contained with separate ventilation units, and two feature hoists for horses, alpacas and livestock with neurological symptoms. The $3.7-million facility was designed by Gregory J. O’Connor and Associates of Worcester, MA and built by C.E. Floyd Company of Bedford, MA to match the brick and copper roof of the Cummings School’s Foster Hospital for Small Animals and Hospital for Large Animals. The new facility was funded by a gift from The Manton Foundation. The Cummings School’s new isolation ward extends our ability to serve horses and other large animals and their owners in New England, said Deborah T. Kochevar, DVM, PhD, dean of the Cummings School. This facility increases resources for our clinicians and provides new opportunities to advance our understanding of spontaneous infectious disease through collaboration with our well-known Division of Infectious Diseases. The Hospital for Large Animals at the Cummings School of Veterinary Medicine treated more than 1,800 horses, camelids and livestock in its 2009 fiscal year. As the only equine teaching hospital in New England, the hospital offers consultation, referral, emergency veterinary services, 24-hour care for animals, and the region’s most advanced imaging capabilities for large and small animals. Tufts’ Division of Infectious Diseases, located on the Cummings School campus in Grafton, MA, was selected in 2003 as one of six institutions forming the Food and Waterborne Diseases Integrated Research Network for the National Institutes of Health. The New England Regional Biosafety Laboratory, a part of the Division, is a regional resource dedicated to investigation of infectious diseases that may afflict both animals and humans. The Manton Foundation was established in 1991 by Sir Edwin and Lady Manton to support philanthropic efforts of interest to their family. In recent years, The Foundation has made significant contributions in the fields of art and culture, education, equine care, health care and biomedical research, historic preservation, and land conservation.